This coverage offers the protection against loss of or damage to your cargo due to accident of the conveyance. 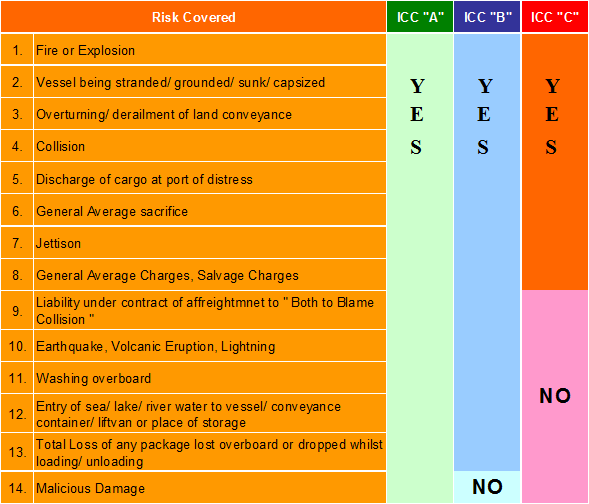 This coverage offers the protection against loss of or damage cover under ICC C plus earthquake, volcano eruption, lightning, washing overboard, jettison, and general average sacrifice. Offers the most comprehensive coverage, but subject to exclusion stated in the policy. * For further information and inquiries, please contact our Marketing Department.